WALLINGFORD - The fruit bouquet company Edible Arrangements is moving its corporate headquarters from Connecticut to Georgia. Chief Executive Officer Mike Rotondo announced Tuesday that the headquarters will move from the New Haven suburb of Wallingford to Sandy Springs near Atlanta. Edible Arrangements has about 130 employees in Wallingford and plans to maintain a small office there with about 20 workers. The company opened the Sandy Springs location in March and plans to complete the headquarters relocation by the end of the year. Rotondo says Sandy Springs is a more centralized location and has better access to major transportation hubs. A company spokeswoman says a small percentage of the Wallingford workers will relocate to Georgia and others will be offered assistance. 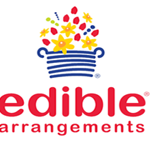 Edible Arrangements has more than 1,200 franchises or sites in development worldwide. Posted in New Britain Herald, General News, State on Tuesday, 21 August 2018 17:01. Updated: Tuesday, 21 August 2018 17:03.